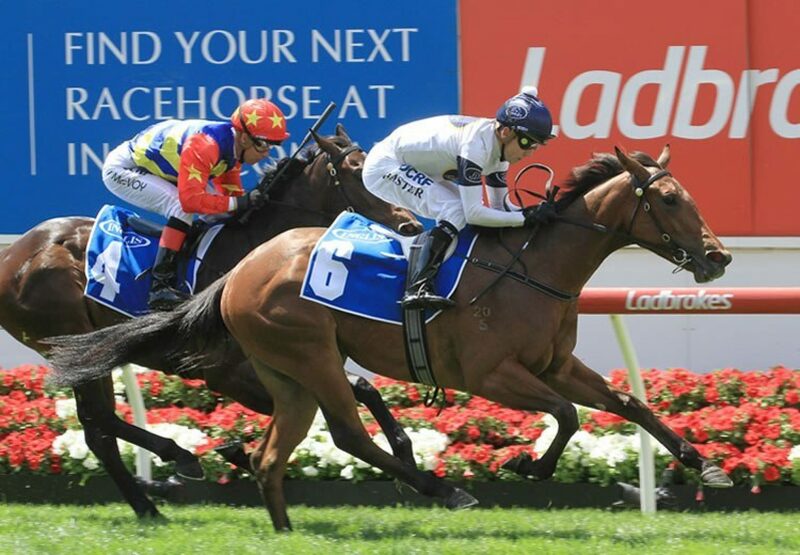 Narrowly beaten on debut in the Listed ATC Gimcrack Stakes last month, talented filly Setsuna (2f Choisir x Longroia, by Lujain) made amends with a powerful victory in the MVRC Inglis Banner RL at Moonee Valley on Saturday for Inglis Sales graduates. Trained by Gai Waterhouse and Adrian Bott for a big team of Darby Racing owners, Setsuna settled midfield for Steve Baster and hit the line hard to forge clear and win the 1000 metre scamper by three quarters of a length over Bionics. “She was slightly slow to jump,” Waterhouse said. “But as we said to Stephen before the race, if things don’t plan out as we are hoping, if she doesn’t fly the gates, just play it for luck and don’t get bustled don’t get worried that’s exactly what he did. “She’s got a very bright future.” A $55,000 Inglis Classic purchase for Darby Bloodstock from the Manx Park draft, Setsuna is a half-sister to stakes-winner Miss Solis and is the fifth winner from metropolitan winning juvenile Longoria, who comes from the family of Melbourne Cup winner Jezabeel. The Inglis Classic has been a happy hunting ground for Darby Bloodstock in recent years with superstar fillies She Will Reign and Yankee Rose also purchased from the same sale. Longoria has a yearling colt by So You Think, but no foal this spring having missed last year. Setsuna is the 86th stakes-winner for stalwart sire Choisir, who sired subsequent world champion sprinter Starspangledbanner to win this race in 2008, with the race re-branded as the Inglis Banner in his honour.